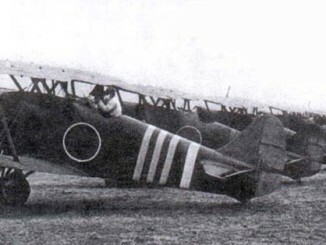 In 1939 Kawasaki had obtained a license to manufacture Lockheed 14-WG3 transports as the “Type LO” for the Japanese Navy. 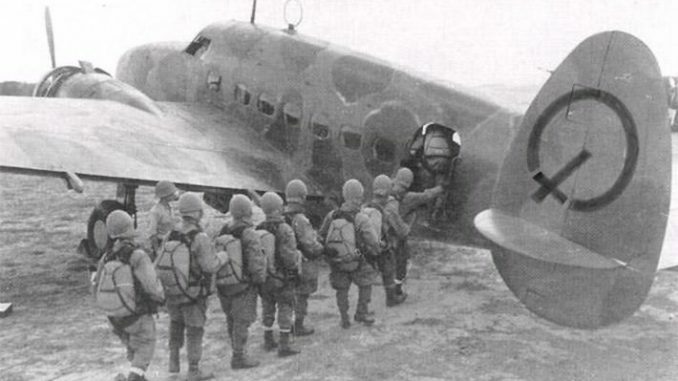 However, the Japanese Army was also interested in obtained transport aircraft, so they ordered Kawasaki to produce an improved version of the aircraft for service in China and the Pacific. The designers of the new Ki-56 lengthened the fuselage of the aircraft by 1.5 metres, and replaced the Ha-26 engines with Nakajima Ha-25s. The flaps were redesigned to improve the short-field landing and take-off characteristics of the type. The interior load space was also strengthened and a larger cargo door was added, so that the Ki-56 could carry replacement engines to forward air bases. 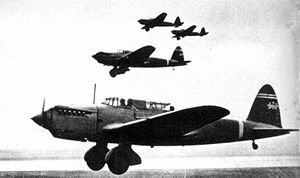 The Ki-56 was accepted for service in 1940, and equipped several transport units by the outbreak of the war the following year. 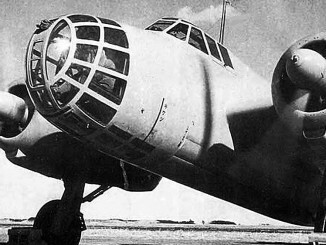 The aircraft was widely used to provide delivery services to the far-flung outposts of the Japanese empire following the early successful offensives of 1942, and was also used to carry paratroopers into battle – most notably on the 14th of February 1942, when an aerial assault was conducted against the Dutch oil refineries at Palembang, on Sumatra. Ki-56s were rarely encountered by Allied pilots near forward airbases, but were regularly found near major Japanese bases such as Formosa. A total of two prototypes and 119 production aircraft were completed before the Kawasaki line was closed down in 1943. In 1942, the Allies assigned the reporting name “Thalia” to the Ki-56, whilst the Navy’s Type LO was known as the “Thelma”.